The F-Type grabs all the headlines now, but Jaguar's XK sports car should not be forgotten. The second generation in the modern XK series for Jaguar built on the tremendous success of its predecessor that was sold between 1996 and 2006. First revealed at the Frankfurt Motor Show in 2005, it finally ceased production in 2014, leaving a GT-sized hole in the Jaguar line-up above the F-Type sports car. It seems for now that there are no plans to replace it either, so if you’re after an XK then you’ll be scouring our classifieds. Built largely from aluminium it was available in both coupe and cabriolet guises, in merely fast XK form and indecently rapid XKR guise, while a devilishly rapid XKR-S was introduced late in the XK’s life in 2012. The previous XK8 replaced the long-running XJS, so it was a bit of a surprise it only took 10 years for the second-generation XK to arrive. Clearly a Jaguar, the styling is evocative of its illustrious sporting predecessors, but despite its nod backwards it did, and still, looks fresh. It followed Jaguar’s other models by utilising aluminium in its construction, though even so it’s not that light. Nor is it a true sports car, being more of a grand tourer in character. It’s a 2+2, with the front seat occupants having plenty of space, the tiny pair of rear seats only realistically occasional/short journey pews. 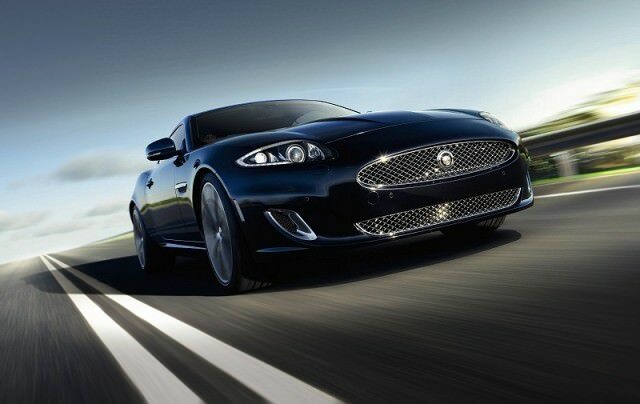 It's a fast grand tourer, mind, as even the standard XK came with a 4.2-litre V8 petrol engine with 298hp. That was enough to see it reach 100km/h in 6.2 seconds in the coupe, while the convertible took just 0.1 seconds more. All were automatics, the six-speed transmission a regular torque convertor design rather than the twin-clutch systems adopted by many of the XK’s rivals. As if the standard car wasn’t quite fast enough the XKR added a supercharger to that V8 for 416hp and a 4.9-second 0-100km/h time. It gained some sharper suspension, bigger brakes and more equipment befitting its flagship status. The XKR-S would better that still, introduced in 2012 as something of a last hurrah for the XK, with 550hp from a 5.0-litre supercharged engine, a 4.4-second 0-100km/h time and 300km/h top speed. But it was the year 2009 that would see the biggest changes to the line-up, with some much needed interior improvements and the removal of the ancient pop-up electric aerial for the radio, as well as 5.0-litre engines replacing the 4.2s, in both naturally aspirated and supercharged forms. All came well equipped as standard, with alloy wheels, leather upholstery and electric everything, but plentiful personalisation options including improved audio equipment were offered across the range. You don’t really need the R’s additional performance and bills, so the standard 4.2-litre V8 is the car to have. Usefully, it’s pretty much the only one you’ll find on the used market, too, as those higher performance models very rare here indeed. Whether that’s a coupe or a cabriolet comes down to your personal preference, but the drop-top’s arguably more glamorous. There are not as many to choose from, unfortunately. The XK is a good-looking, very able and quick GT for those wanting the classic appeal of a Jaguar with some modernity. It won’t be a cheap car to run, but it’s an indulgence that’s arguably worth the outlay and ongoing costs. Much as we’d like an XKR, the non-supercharged XK is a fine all-round proposition and a near certain future classic, too.